almost forces you to participate and take part in the event it depicts. bearing spicery and balm and ladanum, going to carry it down to Egypt. and sold Joseph to the Ishmaelites for twenty shekels of silver. 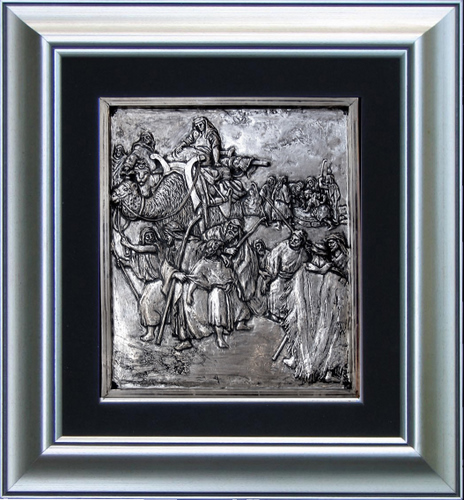 And they brought Joseph into Egypt"
Unique and one of a kind, the picture is made from sterling silver 925 plating, beaten and flattened out.